Have you lost your car keys in Philadelphia or the surrounding suburbs? We can generate & program most car keys, even if you don’t have any at all. We provide everyone with upfront pricing! Other companies refuse to. Fast, friendly local locksmith service that you can trust. Now 100% mobile for your convenience. Car keys made at your location. Low prices! Great deals everyday!! 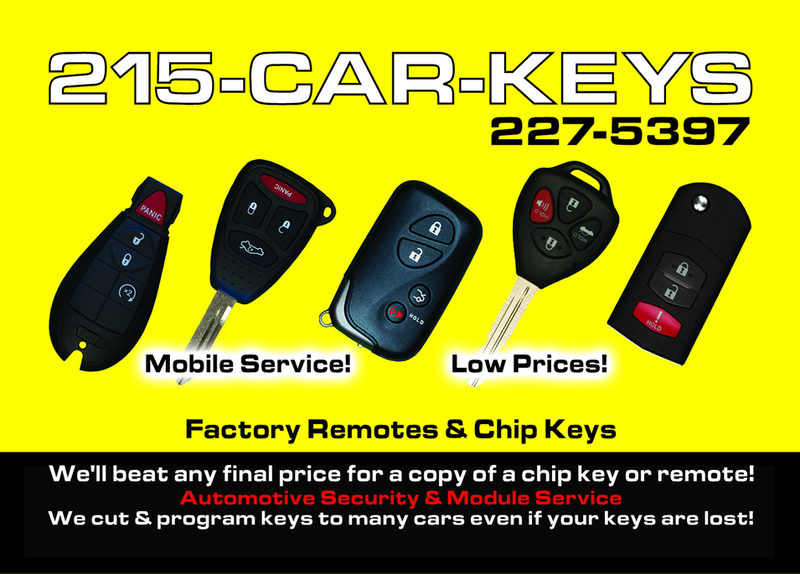 IF YOU HAVE LOST YOUR CAR KEYS, WE ARE THE LOCAL AUTOMOTIVE LOCKSMITH NEAR YOU. 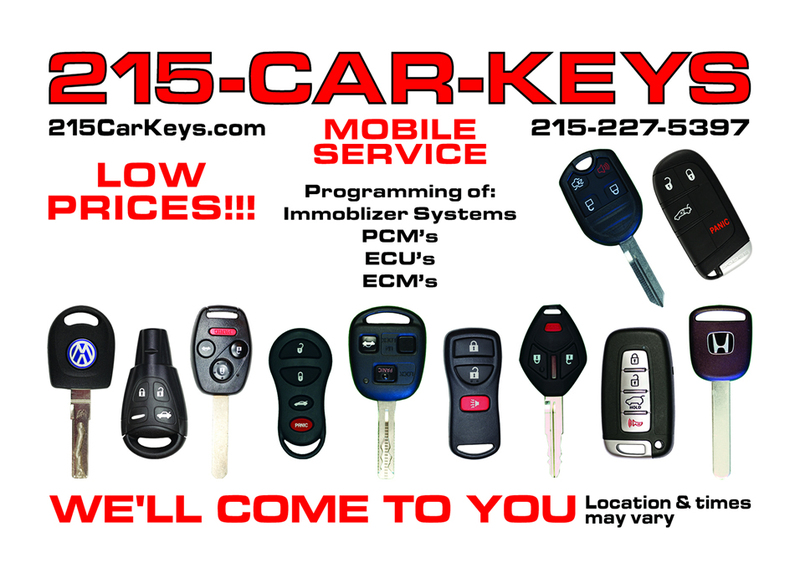 WE HAVE BEEN REPLACING CAR KEYS IN PHILADELPHIA SINCE 2004. 30 Day warranty on items in same physical condition as when purchased if there is an issue. No warranty on any batteries. Batteries are installed by manufacturer when assembled.